Historical overview considering aspects of medical and audiological evaluation of patients with vestibular schwannoma and tinnitus. Treatment modalities and outcomes are discussed together with a review of relevant postsurgical issues. The value of asymmetrical hearing loss, vestibular complaints, and facial nerve problems in establishing the index-of-suspicion for medical and allied-health professionals regarding the presence of vestibular schwannoma. Stereotactic radiosurgery does not appear to have a substantial influence on tinnitus. Atypical forms of tinnitus may occur as postsurgical complications, particularly when hearing is lost completely and abruptly during surgery. Tinnitus after severing the auditory nerve causing unilateral deafferentation of the auditory periphery causes a cascade of reactive changes in the peripheral and central nervous systems that can result in anomalous forms of cross-modal plasticity. 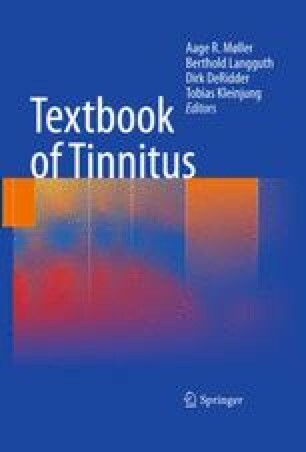 Gaze-evoked, gaze-modulated, and other forms of somatic (cutaneous-evoked) tinnitus can result.